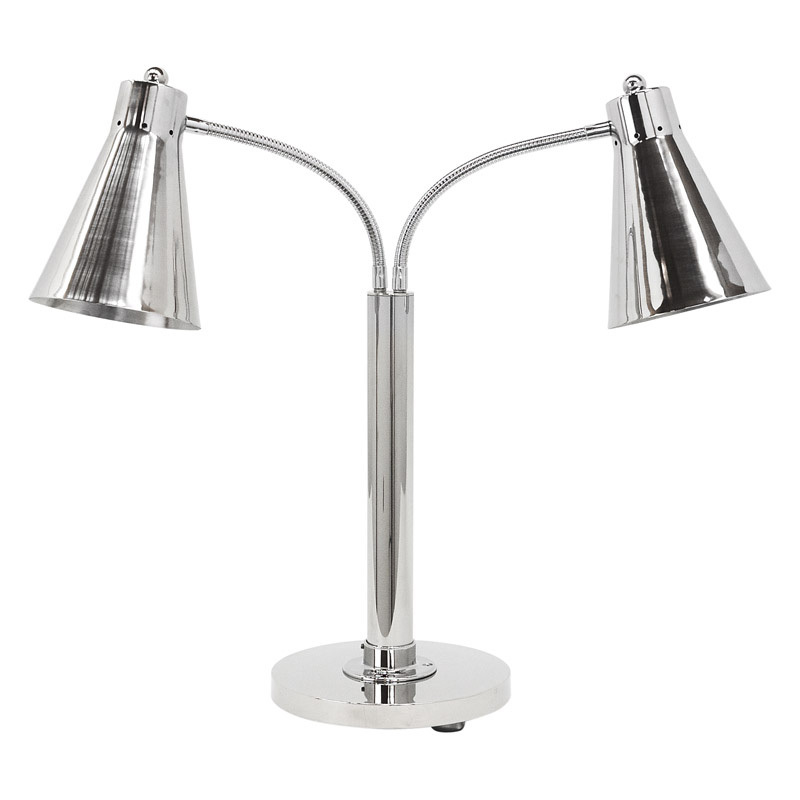 One, two, three or four adjustable gooseneck lamps. 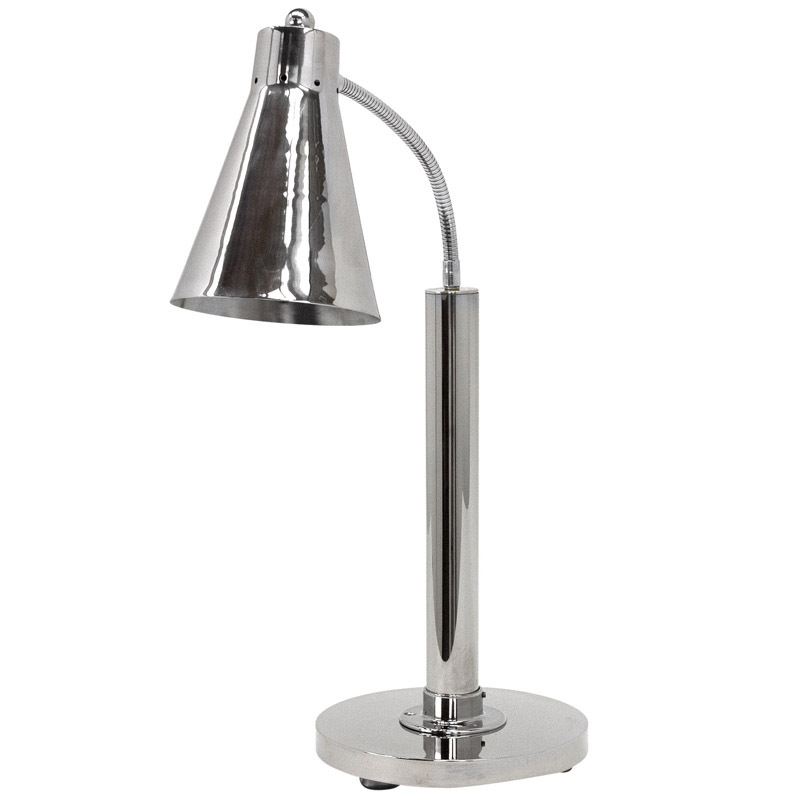 Polished 304 stainless steel lamp and post with weighted base. 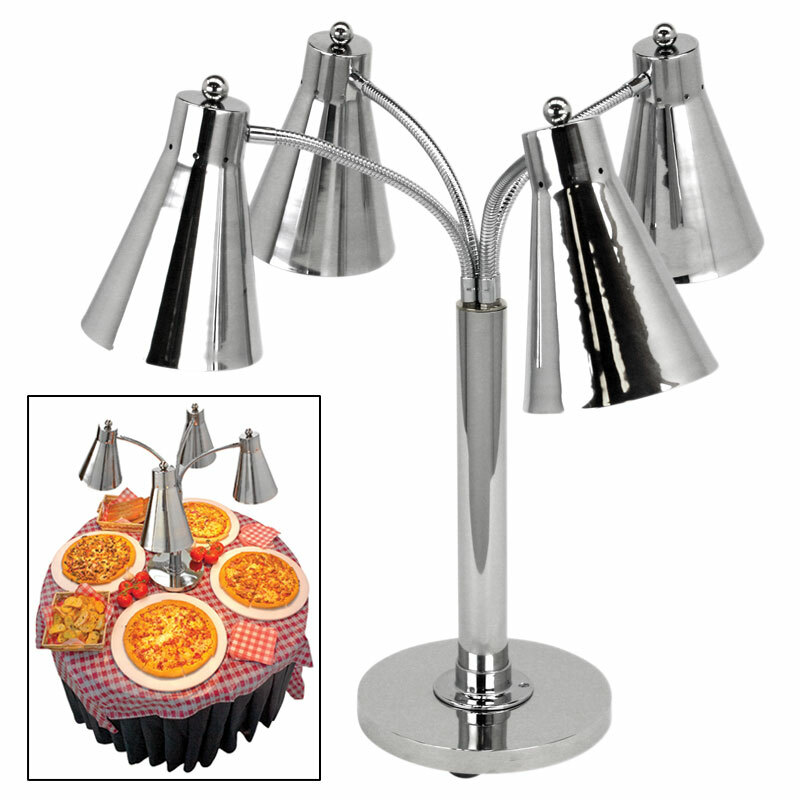 NSF® approved shat-r-proof™ shatter resistant heat lamps bulbs included. 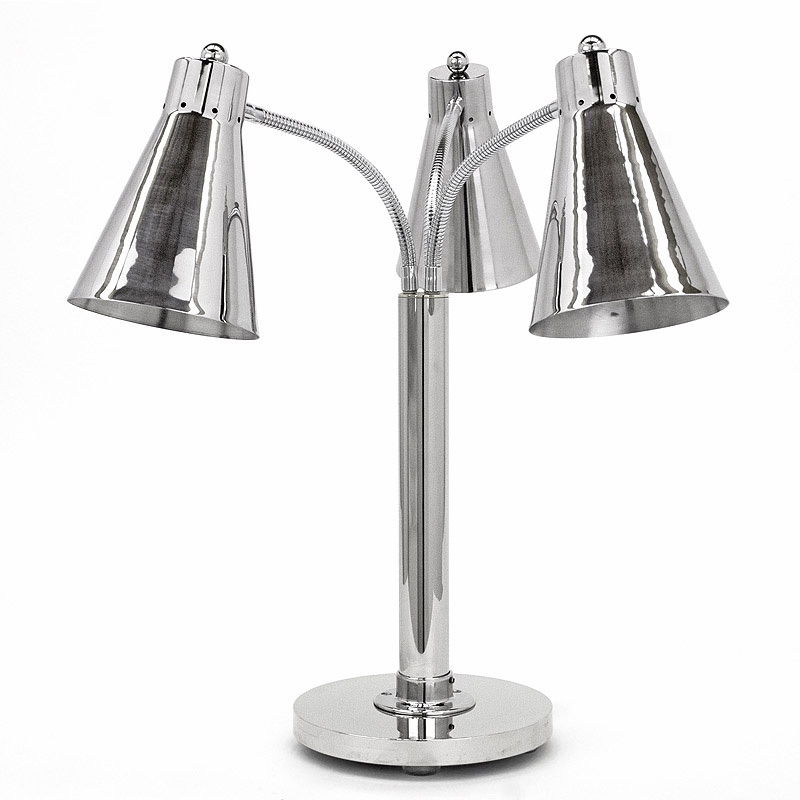 Available in all international voltages.